1- In general, these targets should be pointed by large RC scopes. But Steven Bellavia challenged that with his BORG 90FL. I think these tiny objects are well resolved by the combination of small pixel camera and sharp optics. I was joined at Orient Point by Karl Silverberg, Bob Farrell and James Bowden. Karl, Bob and I were imaging, while James was observing. The imagers called it a “night full of astrophotgraphy gremlins”. Like most imaging sessions, nothing goes right 100% of the time, but last night seemed worse than most. We all had our share of issues. Mine was not being able to get the image focused evenly across the field, using my 6-inch SCT, and after 2 hours of trying I gave up and swapped in my 90mm refractor, that I packed last minute, just before I left my, house for Orient Point. Karl’s SQM read 21.2 mag/sq-arc sec most of the night. It was not quite as dark or transparent as it had been a week earlier, but you could still easily see the Coma cluster and the Beehive, which to me is always a good sign of darkness and transparency. I only got 2.6 hours of data. The faint tidal streams require much more integration time, so I may try for more data while this object is up. But it starts low and stays low, and is only up for a short time. Other technical details are on the astrobin site, but feel free to ask for additional information. 2- As mentioned earlier, IDAS HEUIBII filters have been discontinued and each stock is running out. – QRO 52/48, regular 52 are sold out. This is a kind of must-have item for any modified DSLR users. Canon 6D filter left only one piece. Even others are very limited quantities only. Don’t miss this last chance. I kept a 52mm myself. All look nice and great color matching, and everything is solid. Again, Eagle 3 is not just a compact Windows PC. This is a power distribution center as well. I think the power management including dew-heater controls should be more valuable and convenient. I have to ship them out to NEAF today. So I will write up more after coming back. 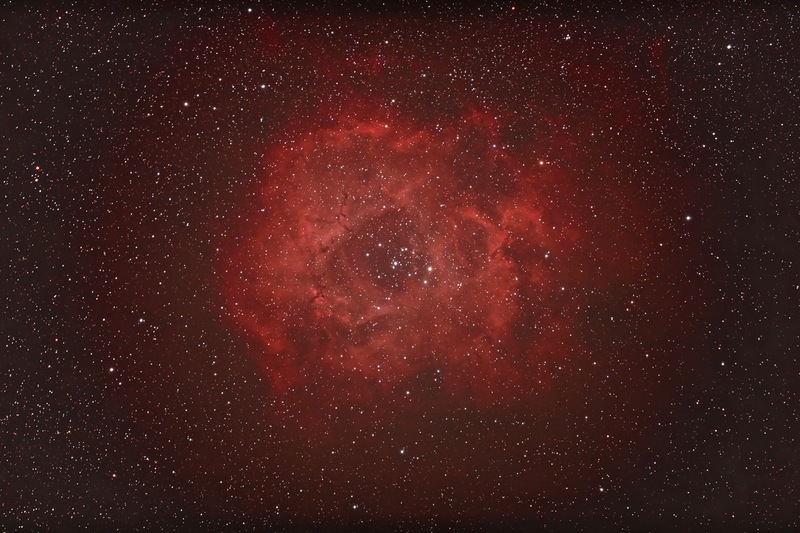 Allen Ruckle shared his 1st image taken by his modified RP camera. ISO 1000. taken from SDAA Tierra Del Sol dark site. Very smooth single shot!! Thanks for your quick feedback. 1 – Takahashi’s new portable metal tripod is now available. It fits PM-1 without an adapter. 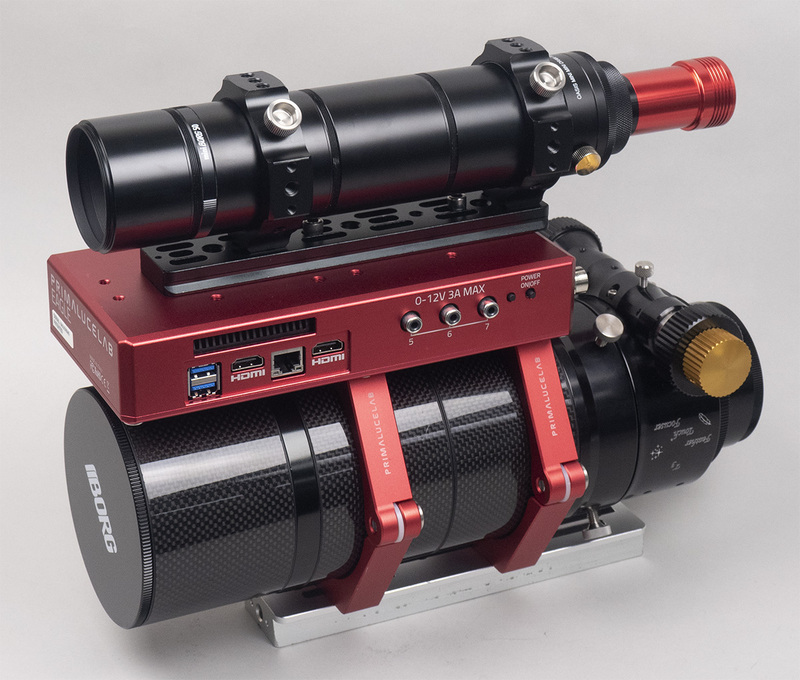 It is also compatible with EM10/11 and P-2(Z) mounts via adapters. I think originally P-2(Z) mounts come with a wooden tripod. If someone wish to switch to light-weight and compact setup, this tripod should be good solution. I still own a previous metal tripod and use with PM-1 as well EM-10. In my personal opinion, it’s best for me. Light and super solid. I don’t need any others. 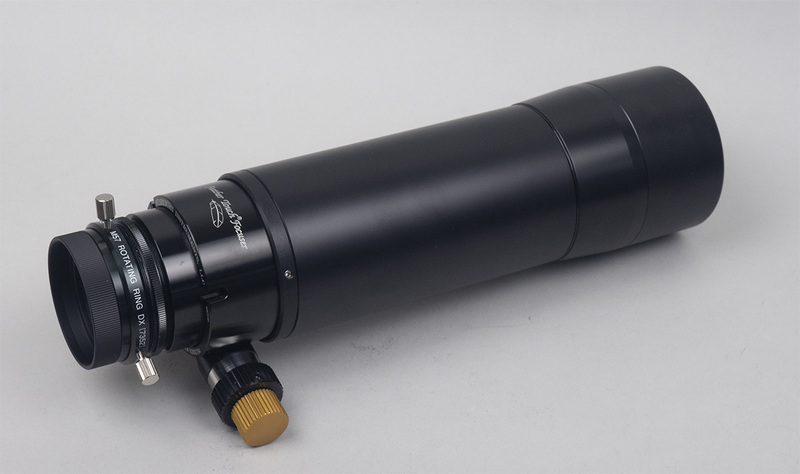 3/8″ adapter allows to convert into 3/8″ interface like conventional flat-top tripods. That adapter makes all universal too. 2 – BORG 7108, 7215 and 7214 eventually come in stock now. For F4 astrograph users, these should be more suitable for small galaxies right now to extend focal length. All covers fully frame sensors. 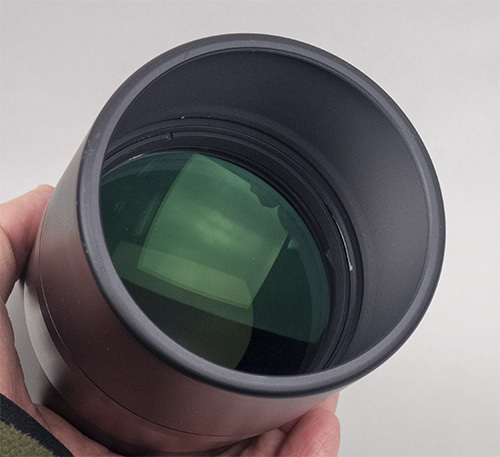 They also support wide range focal length. So they should be useful to non-BORG refractors too as long as its focal length is within each range. The spectrum shift is the nature of the issue for the interference type of filters. No exception. Following data shows how the spectrum is shifting degree by degree. I want to write up here to remind me myself. This is the case study by HEUIBII. But basically all are same. Take a close look at the upper right. Green line (15-degree), it shifts about 10nm from the origin (black line). This illustrates that 10 nm shifts toward the left. This is why most IDAS filters are designed based on this basic rule(= up to 14-degree). Another word, the filter allows for 10nm shift. This 10nm allowance doesn’t mean the value at FWHM. Generally the peak is narrower than FWHM. NB1’s FWHM is around 20nm. And the flat peak is 10nm wide and Ha line is intentionally set at the left edge of 10nm range. This proves why the filter allows for shifting up to 14 degree. 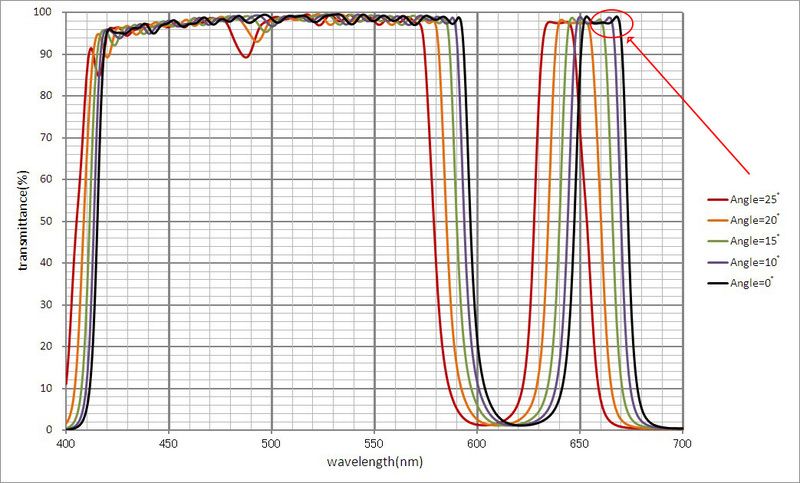 As different case study, for example, in case of 10nm FWHM and ice-pick shape at the top, the actual transmission value is dramatically going lower and lower toward the sensor edge, depending on the optical design. Even if it is 5nm flat-top, hard to maintain same transmission rate entirely. If Ha line is set the middle, most likely we have huge Ha signal loss. Yes, narrower bandpass makes background darker. But we might lose the emission signal strength as well. The key is how we achieves higher S/N. The background gets darker. But if the signal gets weaker, we don’t know how we can figure out it is good S/N image. Don’t look at FWHM value only. 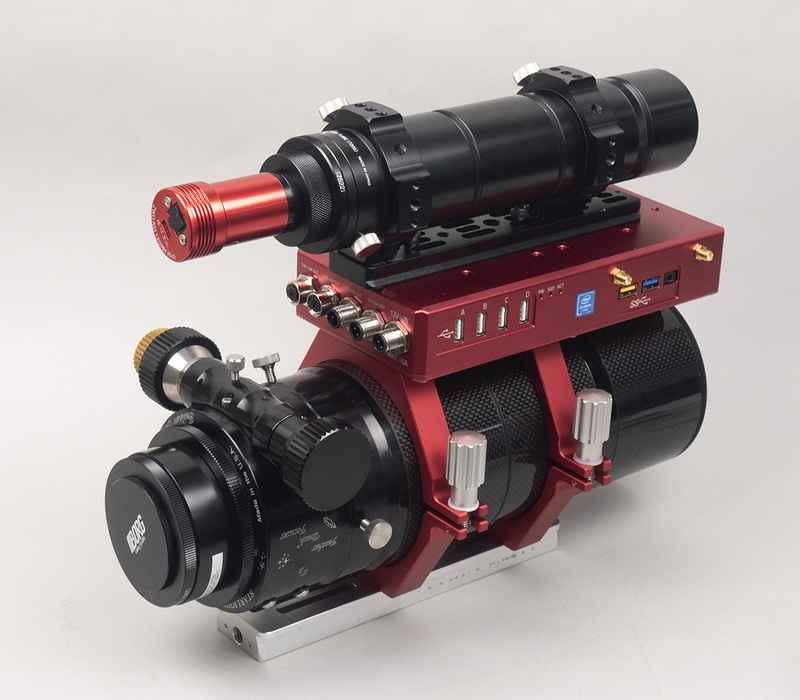 That is just a part of multiple factors for the optical performance. What are both band width at the top and FWHM? Transmission peak shape is another important factor. Flat-top is ideal. Entire transmission rate within range. Not only a certain peak value. Out goal is how to minimize the background noise while to maximize capturing each emission signal. NB1’s Ha line is set at the left edge of flat-top and maintains around 98% continuous transmission rate within 10nm range. Click for the measured data. So as long as you use NB1 within 14-degree rule, you can enjoy 98% Ha signal at the even-level entire image sensor. Enjoy narrowband imaging with IDAS NB1!! 1- Steven Bellavia shared his recent image. 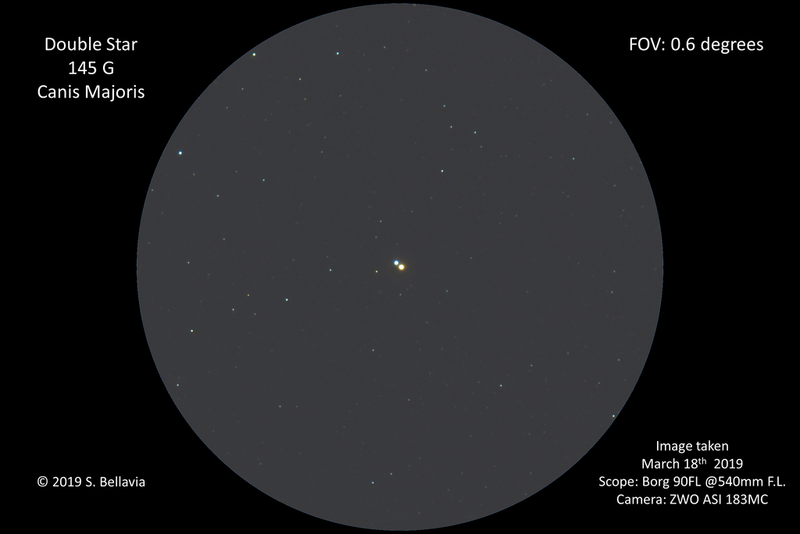 Double star 145 G Canis Majoris is often called “The Winter Albireo” as the pair have similar colors and similar separation (26.4″ vs Albireo at 34.2″ ). The name was coined by author and astronomy lecturer, James Mullaney. This pair was discovered by John Herschel, which is the lower case “h” in h3945. He observed it while on the ship Mount Stewart Elphinstone, on the way to the Cape of Good Hope, sometime between 1833 and 1838. 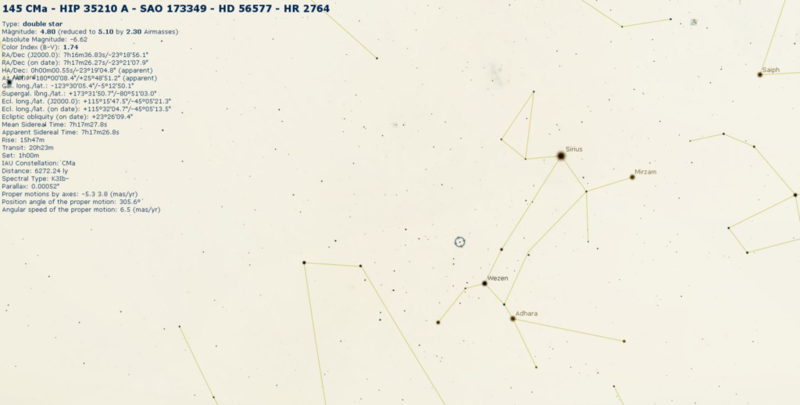 John Hercshel cataloged over 5,500 double stars. 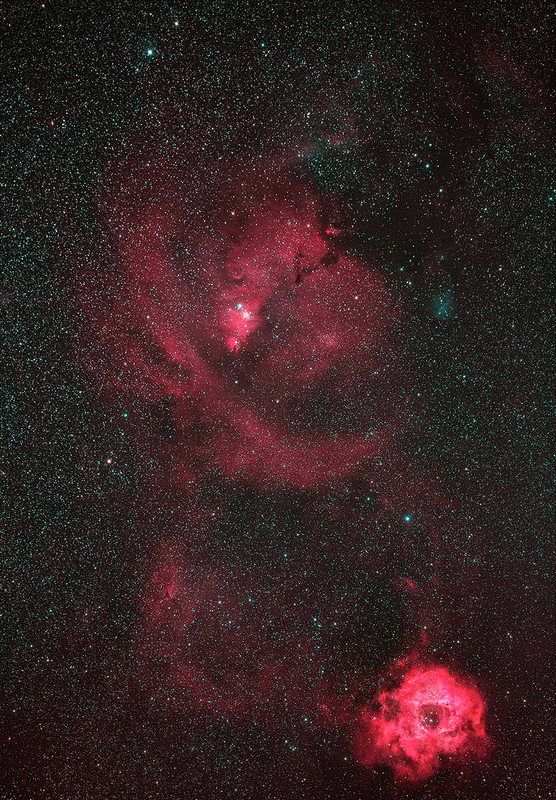 145 G CMa is an optical double, that is, the two stars appear close only by the line of sight. The brighter “A” (mag 5.0) gold / orange star in the pair is a spectral type K0, 6,300 light years distant, and the slightly dimmer “B” (mag 5.9) blue star is spectral type F0, at a much closer distance of 260 light years. The image attached was taken with a Borg 90mm refractor, and a cooled ZWO ASI183MC color camera, which results in 0.92 arc-sec/pixel. These were on a tracking/guiding Celestron AVX mount. Sixty 5-second exposures were stacked, to reduce background noise. A quick finder chart is attached. It is easily visible with a small telescope at low magnifications. It is definitely worth taking a look, if you can. Steven, thanks for sharing your image always. 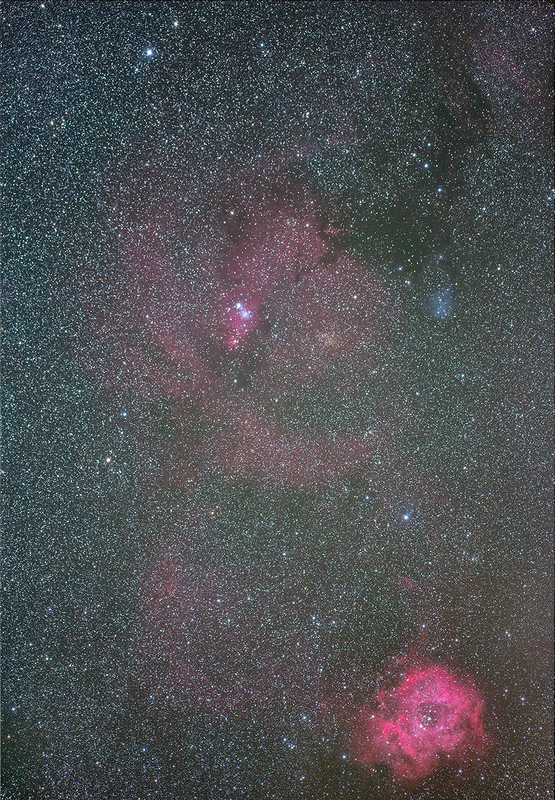 2- Fred Eiserling also sent his 1st test image through IDAS NB1 filter. Fred, thanks for the comparison by two filters. Perfect composing! !